CommissionTrac Is Clearly Going Places! One of the great joys of my job is that I get to interact daily with some really inspiring entrepreneurs. Turner Levison is someone I met a few years ago and I was immediately impressed. He came to NYC and we hung out. We talked tech, life, his vision of his startup and his goals as an entrepreneur. If you met him, you would feel the same. The guy is simply impressive. Hardworking. Focused. Smart. And since we met, I have followed his progress. He hustled to demo the product anywhere he could. He raised some money to fuel his growth. He signed some important JV’s with the likes of REthinkCRE and RealNex. They’ve created huge partnerships with NAR, CCIM and SIOR. And now he has announced perhaps his biggest milestone to date, Techstars Atlanta in partnership with Cox Enterprises. Techstars is widely considered the best of the Accelerators and Cox Enterprises is an Atlanta legend. A really innovative program and another great win for CommissionTrac on their journey. Michael: How do you think Techstars differs from other Accelerators? Turner: There’s no shortage of accelerators out there from industry specific like NAR’s REach accelerator to the big names like Techstars and YCombinator. There are also tons of unique Techstars program that focus on specific industries like the Techstars Colliers Program for CRETech/PropTech. The primary things that appealed to me with Techstars is the collaborative approach, the #givefirst mentality and the network is for life. The main reason we went with the Techstars Atlanta, in partnership with Cox Enterprises program as our first choice was the two Managing Directors. Michael Cohn and Rachel Ford are the bees-knees, but what stood out to our whole team was how committed they are to the program and each and every founder’s success. We were still in the interview process and they were sending us ideas to improve the business and taking time to work with us before they had any reason to. While the program itself is only 3 months, all of the founders are added to Techstars Connect, a powerful platform for everything from special offers and discounts to discussion forums full of advice on VCs, Angel Investors, business development ideas and a wide network of like minded alumni all embracing the #givefirst mentality. We’re talking about the whole Techstars Network here too, including more than 10,000 mentors; 2,700 investors; 1,200 alumni companies and 180 staff members. While we joined the Atlanta Program in collaboration with Cox Enterprises, we have access to all of the mentors, other founders and program managers from the Techstars Colliers program in Toronto too. The other huge appeal for the CommissionTrac team was the collaborative approach being baked into every aspect of the program. First off; unlike many accelerators, Techstars provides a shared office space for all the companies of each program. That’s huge. The energy of 9 other companies all solving problems, closing deals, ringing gongs, etc. is infectious. The energy here is unlike anything I’ve ever been a part of. In addition to the serendipitous interactions, there’s structure too. Weekly CEO coffees, weekly family dinners and KPI reviews, sharing success and propping each other up when things get rocky. M: As a fast growing startup, why do you think joining an Accelerator will help your business at this stage of your growth? T: All of the Techstars companies have a MVP or a product in the market. The program itself, the mentors, the connections and more are all a part of accelerating from early stage to market leaders. Nobody “has it all figured out” and there are few things better for long term success and growth that having every aspect of your business challenged by people who have been there and done it before. Have a weakness as a founder? Techstars “Mentor Maddess” will literally line up 100 mentors in two weeks for you to add support in the areas you need help. Looking to raise money? Techstars will stress test your pitch deck, presentation and demo until it’s perfect (or as perfect as it can get!) and then help you line up VC and investor meetings so you can get the rocket powder necessary to grow and scale your business. Not all accelerators are built the same — so do your homework on which is the best for your stage, your business and your goals. M: What have been some of the biggest lessons you have learned personally as a start-up entrepreneur? Nobody can do it all. Don’t be afraid to show vulnerability. Seriously, ask people for help. The power of a network can be a total game changer. Ask customers how you can improve, ask team members how you can lead better, ask mentors EVERYTHING. If you ask, listen. You may not take all advice, but nobody likes talking to a brick wall. Most overestimate what they can do in a month and underestimate what they can do in a year. Start-ups take time and energy. It doesn’t happen overnight. Keep fighting and keep grinding. M: Are there any particular mentors that have been most instrumental in your journey as a founder? Perhaps some that might have even helped you decide on this particular strategy to pursue Techstars? T: I’d like to give a big thanks to Jon Birdsong. In 2014, he challenged my view of the world and convinced me to leave a great job at JPMorgan to join him as the first hire at a company him and David Cummings had recently founded called Rivalry (now WideAngle). During my time working with Jon, he was mindful to have engaging one-on-one meetings with me weekly and even a monthly dinner. The focus was beyond just Rivalry and my role there — Jon helped me polish soft skills, understand how start-ups work and in general how to be a leader people can rally behind. He continues to be someone I consider a friend and a mentor. Prior to Rivalry, Jon went through the Techstars Boulder accelerator with SalesLoft and was incredibly helpful when we were torn between the various programs and if it was a good idea to apply. Then once we did, he wrote a referral letter and coached me along the interview and selection process. M: What does CommissionTrac hope to get from the Techstars & Cox Enterprises accelerator? Cemento AI all the way from Tel Aviv, Israel — A commercial real estate construction collaboration application for general contractors and subcontractors that provides visibility to all stakeholders to ensure that projects are delivered on time and on budget. PadSplit from right here in Atlanta, GA — A solution for landlords that enables them to provide affordable shared living experiences to the workforce. Is Atlanta becoming a CRE//Tech hub? I think so! M: What changes for CommissionTrac now that you’re in the Techstars Family? T: Quite a bit. I’m a firm believer in the power of a network, and I can’t think of a family I’d rather join than this one. 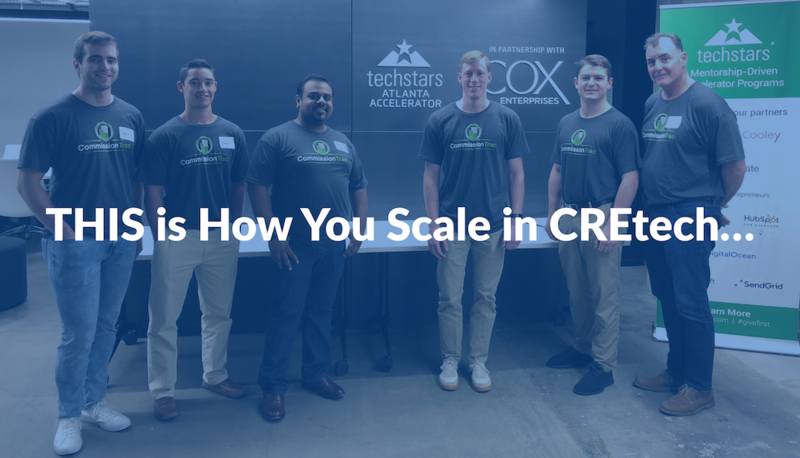 As a part of the program, we’ve received an investment directly from Techstars as well as from the corporate partner of the Atlanta program, Cox Enterprises. We’re going to use that rocket powder to grow our team and continue to improve the platform. We’ve got all sorts of integrations and big ideas for the platform. We’re also going to spend the next 3 months meeting new mentors and polishing our pitch to go out and raise additional capital to fuel even more growth. It’s only day 2 as I write this, but I can feel the energy growing. This is going to be fun! If you have any interest in applying or just a conversation with me about Techstars, CREtech, Coworking, etc. 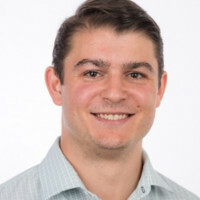 please connect with me on Linkedin! Turner focuses his time and effort in writing, building relationships and growing CommissionTrac. Graduate of The University of Georgia’s Terry College of Business in 2012, Turner started his career at JPMorgan. In 2014, he joined Jon Birdsong and David Cummings’ software start-up, WideAngle, as the first hire and was tasked with creating and scaling the sales organization and managing operations. In 2015, a unique consulting opportunity led to Turner founding CommissionTrac. The native cloud based agent management and commission accounting platform launched in the North American market in late 2016. Turner is also on the honorary board of directors for Special Olympics, Georgia, an advisor to the KSU Entrepreneurship Center and SharedSpace, and on the leadership board for CRE//Tech.